Only hours ago had the only man Odin could call friend was killed. Currently, he sat within a wooden home he had been living in since arriving on Lulusia years ago. Sitting at the extremely large table. Odin would stare at a cigarette whose last breath had just been taken. The ashtray was full of ashes. Showing the stress that Odin was feeling at the moment. Usually he wasn’t stressed. Hell, he didn’t even sit anywhere quietly ninety-nine percent of the time. If someone that knew him very well was to see him. They would instantly know that something was wrong. For minutes he would continue to flip the pages. Odin had came across the Supernova section, but felt that it was only about some imps who had gained high bounties. Nothing he was too worried about. Sure, he didn’t like pirates very much. If they stayed out of his way, then everything would be fine. As he read on, one would assume that the horde of Sea Kings in Water 7 would be what caught his attention the most. However, it was the exact opposite. His eyes focusing on the paragraph that spoke about a newly built prison. Odin would lean back in his chair. Kicking his feet up, as he still stared at the paper. “Impel Down huh? No doubt the government has grown smarter. Executing all of there enemies was becoming quite boring. Though, a place full of the most powerful people wouldn’t be up for long.” thought Odin, as he rolled the paper up. As he rolled it up. A grey like substance would begin falling from it. The surprise had caused him to tumble back in his chair and fall on his back. “What the hell is this.” muttered the man while running his finger through the liquid that felt like water coming from the paper. Thinking that he was just going crazy. Odin would throw the paper into the small fireplace. Deciding to increase the heat of the fire before he went to sleep. Soon after throwing the paper in the fire. Odin would go into the only other room he had besides the living room/den/kitchen/dining room. In the new room was simply a bed. Only in his underwear, Odin would gently hop into the bed in hopes of a nights rest. Unknowingly to him, a night’s rest would be the only thing he needed in order for an idea to be thrusted into his mind. The sound of birds chirping and the hollering of rival guilds would wake Odin up. He would grunt as he got out of his bed. His frame moving for the window to see the commotion. As he opened the curtain, then blinds. Odin would see far off in the distance two guilds fighting each other. Though, it didn’t look like anything that would turn fatal. Leaving from his window, Odin would go back to sit on his bed. Over the night, during his sleep he had a dream. Something that might’ve been called a premonition if he had any sort of future sight abilities. In his dream, he had gained forces that helped him fight the Red Dawn guild. The fight was hard, but in the end he had won. Currently, he was thinking about if it was some sort of sign. Maybe he should recruit forces and go up against Red Dawn. Technically, it wouldn’t be against his mission. He could establish a small name for himself in the Common Grounds. Then slowly try to work himself up to a bigger one as the days passed. A hand would slowly come to stroke his chin. Debating on the idea hardly. Looking over to his clothes and sword that lay near each other. Odin would finally make a decision. A few minutes had passed while Odin was getting ready. Now equipped with his sword in his back and his cloak on. He was ready to embark on his mission of recruitment. Odin would need to find allied that had the same agenda. If he could find people that wanted to go against Red Dawn. Then all would go well. Walking out of the door, Odin could see that the commotion was still going on between the two guilds. Being on the outskirts of the Common Grounds itself. Odin would have to take a short walk down the street to actually get to the two groups. As he walked, he debated on how he was going to approach them. He could get them both to join him, but one could also do. From the looks of it, their forces were around 10-15 strong each. About the average size of a regular guild. It would have been larger if the people trusted each other once again. But of course Sleeper Agents were everywhere. Maybe there was one right inside one of the guilds? Finally at the end of the street. Odin would approach the two guilds. Their fist fighting had stopped. Now it was only verbal insults. Insults that had Odin going quite wild in the inside. From the looks of it, they both were too mercenary guilds. Odin could tell from the way they carried themselves. Along with their signature swords and guns. With the imposing figure now within two meters of them. They would come to notice him. Their arguing stopping as they faced the behemoth. “Old Man we don’t want no problems.” said a random guy from the guild to his left. Odin’s presence was already known slightly around the Common Grounds. People knew him, but he didn’t know them. Maybe they heard of him through his feats? Or maybe they were just in the same bar as him some days. With his hand still pointing towards the sky, Odin would say “Shishishi... I have a proposition for you two guilds.” A pause in his announcement would be given. His eyes trying to look into all the other pairs around him. After looking around, trying to find any ounce of weakness, Odin would say “Us three all have a common enemy. Red Dawn, the Mercenary Guild. They’ve been classified as the best merc guild and I’m sure you don’t like that. I’m going to be straightforward here. Help me take them down and you will be granted with a large amount of riches and fame.” The two guilds minds would ponder as they thought of the olive branch at hand. Gaining fame and riches did sounded good, but how would they actually work together. The two guilds would both notice that the opposite was there. Realizing that they couldn’t possibly work together. “I’m sorry, but we’re gonna have to decline. Silver Sparrow will lend no help in this mission of yours. We can’t work with savages such as these.” said a man dressed in a white suit. He seemed to be the leader of the guild. Seeing as he motioned for them to leave and they quickly followed. It seemed Odin had stopped a fight from happening as well. His eyes would travel away from the leaving guild and back at the one that stayed. He would eye them. Trying to think on what they would possibly try to do. All of them had turn their back to him and were in some type of huddle. About five minutes would pass before they came to face him again. “We agree, but we want to split what we obtain fifty fifty.” said a man. Odin would nod, agreeing to what he had to say. Honestly, Odin didn’t care very much for money. He only wanted the revenge he had quenched. “Meet me back here in a week’s time. Do your best to prepare and don’t let anyone know of this coming storm. Until next time.” said Odin as he went deeper into the Common Grounds. He was heading back towards the bar where Sun was killed. Maybe it could the large amounts of rage that was in his mind. The walk was a long one seeing as he had to go to the middle of the District. There he would see many people inside mourning the former bartender. Odin would have walked in, but he didn’t want to be reminded of the pain. As he was about to turn around, he would hear a light voice say “Trying to recruit guilds to fight under a common cause isn’t something a single man will be able to do. Though, I love that you tried. Should have had me and you would have gotten them both.” Odin would quickly turn around, his hand on his sword ready to attack whoever it was. With his body fully turned around. Odin would come face to face with a woman that had brown skin and purple hair. However, as Odin looked harder at her body. He would see that the brown skin was actually fur. He would frown. A Mink? He had some experiences with them in the past. Experienced that led to him being electrocuted with his hair all pointy. Deciding to interrogate the woman, Odin would say “Who are you and what do you want. Most importantly, how do you know of what has went down?” The woman would only laugh at his reply. “No fret Old Man. I’ll help you fight against Red Dawn. Sun was my friend as well. And what I would love most is to see the look on that guild’s face once they get what’s coming for them.” As the woman spoke her words. Odin could see the sadness pouring from her voice as well as on her face. He didn’t trust the woman just yet, but maybe she was being sincere. If so, it wouldn’t to gain another ally. Odin would only nod. Leaving the scene assuming the woman knew of the meeting spot and time. Over the course of the week, Odin himself would investigate the guild in hopes of figuring out their weakest points. After recruiting the guild and somewhat the Mink. Odin had headed back to his hut for a night’s rest. Over the course of a week Odin stalked Red Dawn’s guild in hopes of finding some type of weakness. Whether it trust issues among members, weak building integrity, or even a way to get in from the front door. However, everything seemed to be air tight. Odin wasn’t able to find any weaknesses whatsoever. And even if he did, he doubt that his posey would even be able to surprise the people. His previous plan had been to try and sneak in and pull out the big guns. Though, at the moment it looked like they had to go in just guns blazing. Odin didn’t mind that. In fact he really wanted to after he thought of the idea. There was a large marine presence on Lulusia. If they heard that a man who possessed a Devil Fruit was around fighting. Then surely they would come instead of the knights. That would play right into Odin’s hands. He planned to grow far more in fame than the youngster supernovas. At the moment, only a few knew of his Revolutionary position. Those few consisted of Wild Storm Judan, the army itself, and the small imp from before. He doubted that any would reveal his position to the world. As he planned to keep it a secret till the higher ups wanted him to. Who didn’t like a surprise here and there? Anyway... Currently Odin was at the spot he previously met the two bantering guilds. He was frustrated as he sat down Indian style on the pale dirt. The man had been waiting since evening for the allies to arrive. But they seemed to have lost track of time. He was a patient man, but could grow impatient if a meeting was overdue. A frown was apparent on his face while he looked around every now and then. As he looked, Odin would hear a pair of light footsteps approaching from behind. Usually he would have quickly spun around for the culprit. Though, a voice had spoken causing him to lay low. “Old Man, it’s getting quite late. Are you sure the others will show.” asked a curious Mink woman. Odin didn’t need to turn around as he knew the voice of the woman. The exact voice of the Mink he had previously met. Without looking back, Odin would say “Do not fret Mink as you told me once before. I’m sure they will arrive. However, I could ask why you were late with them?” There would be a moment of silence as if the Mink was debating what to say. Odin would grow suspicious from the short moment of silence. His instincts telling him to meet the mink’s eyes. However, once again her voice would take him from his thoughts. “A girl has things to do. You aren’t the only one plotting.” said the Mink with a hint of worry in her voice. Odin wondered what the woman meant, but didn’t think hard on it. He had other things to do. Once again the footsteps behind him would shuffle. The Mink now appearing in view right in front of him. Even as Odin sat in the dirt he towered over her. Sometimes he cursed his magnificent size, but he knew that it was only a blessing. He thought the Mink would have sat down. But she only stood. Her arms crossed over her chest while she stared in the same direction as Odin. What felt like an hour would pass before the duo would even get an hint of the allied guild’s approach. Though, what felt like an I hour had only been a mere ten minutes. Clad in black suits were around twelve to fifteen men and women. Odin knew they were the ones from yesterday as he recognized both their appearance and some faces. A man with silky black hair, and blood red eyes would come towards Odin. His friends however remained in the back. Approximately five meters away from the duo. Getting within touching distance of Odin, the man would bow saying “Blanco at your service. A week has past and I assume the plan is at hand.” Asked the man as Odin curiously eyed him. He didn’t remember his face from before, but thought nothing of it. Muttering a few curse words because of their lateness. Odin would turn his head to the Mink and then the suited man and say “Its simple really. Gather your best weapons and most bravest people. We’re going in there guns blazing. A simple sneak attack won’t work on this guild. However, they won’t expect anyone just bursting through their front doors.” The Mink to his left would smirk at the plan. Though, the man to his right would clearly frown. Blanco wasn’t one to go through with poorly thought out plans. However, his guild was the one to join forces with the lieutenant. With that being said, he also wasn’t one to go back from his promises. “Guns blazing you say, Old Man? Wouldn’t that just label us as criminals? Sure, my guild wants to rise through the ranks of the Mercenary Guilds. But all of this would be for nothing if we’re caught and executed.” questioned Blanco. A smile would appear on Odin’s face. He would stare into the red eyes of the man. “Shishishi... You must establish a presence for yourself. Simply do not get caught after things go down. If you can hold your own against marines and knights alike. Many people will come to you in hopes of taking out their enemies. “ The man in black would ponder Odin’s words. Debating on if the whole situation was worth it. The Old Man was correct, but Blanco wasn’t the type of guy who wanted that kind of heat on him. A hand would come to slap his face, as he would say “Then I will follow you to the end.” He would turn to walk away. Him and his guild heading back towards the Common Grounds. The Mink would begin to walk away as well. However, before they both got out of hearing distance Odin would scream “Seven o’clock a week from now we will wage war. At dusk the Red Dawn guild will be no more.” After saying his words, Odin would also leave the scene. Himself going to his hut and begin preparation. His Devil fruit powers had appeared. Now it was just the case of actually being good with them. Just like that a week had passed for the small alliance. Each of the groups doing certain things in order to ensure their victory over the Red Dawn guild. However, only Odin’s training over the course of a week would be revealed. During the single week, Odin trained in Greenie Pass in hopes of figuring out his Devil Fruit abilities. He had assumptions when he rolled up the paper a few weeks ago. Though, that was nothing compared to what he was actually able to do. With the basics of his Devil Fruit down. A mad, almost sadistic nature had erupted in him. He was able to do things no normal man was able to do. Odin was actually proud of it. The army had supplied him with a power that could not be tested by any other (or so he thinks). At the moment, Odin was walking to the spot he had grown accustomed to over the few weeks. Unlike before, the two parties were actually their before him. The guild led by Blanco in their signature black suits and the Mink in her regular clothing. Odin was also in his rebuke clothing, but he had his sword on his back. He usually didn’t go into the city with it, but action was about to commence. Besides from Odin, if people were to look at them. They would only think that they were roaming the streets as night neared. It wasn’t rare for a guild to walk together. Odin would smirk as he came into view of the alliance. “Youngsters, the fate of ourselves and Red Dawn is upon us. This battle will be fought hard and I’m sure some of us will come out with injuries that may not be good. This is the only chance you have to back out. Any cowards?” asked Odin, looking around waiting for someone to leave. Blanco, nor the Mink showed fright. However, he could see a few maybe three showing a sign of fear. Maybe this was their first battle? Or maybe the Red Dawn guild was just that good? Truly, Odin didn’t actually know and could care less. He was a cocky old man and was positive he was going to come out of the fight on top. Raising his hands towards Blanco, Odin would say “You and your guild go forward. Walk straight through the front door and rain terror down upon them. Me and the girl will follow closely behind and come when it is most surprising. Be safe.” The man in black would nod as he motioned for his guild to follow him back into the Common Grounds. Odin would nod back at him and turn towards the Mink. “Over these few weeks we have encountered each other. However, we know the names of either. To some I’m known as The Berserker, but feel free to call me Odin, child.” announced the old man, as he stared at the purple haired girl. A frown would appear on the Mink’s face. Odin couldn’t tell if it was one of anger or annoyance. “Old Man, we aren’t nakama. We all have a common goal. That’s the only reason we’re here today. Not to make friends.” said the Mink. Odin would grunt, it was true. Though, the girl didn’t have to be so straightforward about it. Giving the Mink a nod of agree. They both would push forward two minutes after Blanco and his guild left. As they made their way into the Common Grounds. They would receive odd looks from the people. A duo of weirdness they were. It wasn’t everyday you seen a giant man with wings walking with a purple haired chocolate bar. The scene displayed in his head would cause him to laugh out loud, but the Mink would ask nothing of it. She also had the same scene playing in her head. As they went deeper into the Common Grounds. The sounds of gunfire and screams could be heard. Odin would look to the Mink and say go before he shot off into the air. He could see a surge of electricity go through the woman’s body as she shot forward at unrealistic speeds. Odin himself was fluttering through the air as he made his way to the fighting. Having an height advantage over everyone seeing as he was about fifteen meters in the air. He could see the fight that was suppose to be inside of the building itself flowing outside. Sword met sword and fist met face. It was truly a sight to behold and was causing the demon in him to slowly creep out. Floating directly above the fight with his wings flapping every now and then. Odin would observe the situation waiting for the right moment to reveal himself. No one had any reasons to look up in the sky and he was quite happy of that. His eyes would trace the battlefield. He was looking for Blanco, but it was hard due to the whole of his guild wearing matching suits. However, he was finally able to see a man with a staff twirling it as if it were a baton. Odin smirked as the figure of Blanco was quickly taking out grunts as if it was light work. The blows Blanco dealt weren’t fatal. However, every time he took someone out. One of his guild members would come finish them off with a stab to the chest or a bullet to the head. This was how mercenaries worked. Both with quickness and team work. One could mistake them for assassins from how they fought. Though who know, maybe that just what they actually were. As he continued to eye the battle field. He would come to see the signature hair of the man he had encountered in the bar weeks before. The man who had dealt the finishing blow to his friend, Sun. A surge of anger would erupt in the man. As he floated in the air, he could hear and see a person from below point towards him. “The Mad Titan.” screamed random figure. Odin had never heard the name before, but wasn’t surprised. It was an uncanny resemblance and unknowingly to him he was going to take a liking to it. The angel’s descent from the sky and to earth was a short one. As he dived down towards the battlefield. Odin had pulled his sword from its sheath and was ready to slash the man in two from what he did to sun. Visible air would appearing around his body as if he was a meteor coming from the heavens above. Time would seem to slow down as Odin trusted his sword downward in a crescent shape just as he got within striking distance of the man. Odin would smirk as he sure the battle would be over as soon as it started. Due to the dive from the sky, his speed was just too fast for anyone too avoid. Much less react to. So, his sword had cleanly cut through the man’s body from the right shoulder down to his waist. The attack slicing the man in two like a loaf of bread. As Odin stared at the man. His smirk would slowly come to fade away. Even the battle had stopped as he stared at a spot that was suppose to be covered with blood and guts. But instead, in front of him was torso and head floating above a pair of walking legs. Odin’s smirk would seem to transfer to his enemy. The man’s sword coating with fire as he quickly pierced Odin in his stomach. However, the stab was nothing more than a needle. The sword was too short too actually do damage and the man didn’t put any force behind the stab. Sure, he had drew blood, but it was nothing a few bandages couldn’t patch up. Ironically enough, Odin’s whole torso was wrapped in them. Both of them would be surprised. Odin at the floating half man. And Red Dawn’s leader at a unfazed Odin. The battle would rage on as the man would be the first to speak. “I should have known it was you Mad Titan. Still mad about what I did to the sucky bartender I see?” asked the man as he jumped backwards. He put a lot of distance between the two. Enough to the point where Odin couldn’t even hit him with his sword if he stretched his arm out to the max. Odin’s face would show endless amounts of anger as he thought of how to attack the man. “I’m sure you’re wondering how I’m still alive. You see... I’ve eaten a gift from hell. A Devil Fruit that gives me outstanding abilities. With the Bara Bara no Mi, I’m immune to slashing attacks. No swordsman can cut me down.” howled the man as he now shot forward towards Odin. Etched in his armor as if he had been drawn by a pencil was a single name, Bob. It seemed like it was the name of the enemy. Bon was moving at a quick pace towards Odin. Trying to quickly close the distance between the two. Odin was frustrated. He had never fought against a devil fruit user and didn’t know how he could attack if he used his swords. Just as Bob got within striking distance. Odin would hold his sword up to match a strike that was aiming for his shoulder. The man who had jumped off the ground to hit the behemoth of the man seemed to be froze in air as his sword shifted slowly off of Odin’s. Before the man could even regain his composure. Odin would use his left hand to smack him back down to the ground. A mound of hay had protected him from the cement unfortunately. Odin would retreat backwards. Mistakenly stepping on a fallen Red Dawn member and flattening his leg to juice. He winced at the realization and would continue backing away. Odin had let his sword fall to the ground as he held up his gloved fist. Spikes protruding from his gloves. Odin wondered if piercing Bob would work. He didn’t say anything about stab wounds being an immunity as well. As Bob slowly rose from the haystack. Odin would run towards him at full speed. His right hand heading downwards to meet the man before he fully gained his senses back. Just as his fist impacted the body of the man. He would feel something slithering from under it. Once again, separated pieces of Bob would be floating in the air. Sweat would appear on his face. The blunt force of the attack did some damage to him, but thankfully the spikes didn’t. “H-how?” stuttered Odin as he once again begun backing away from the man. Not in fright or terror, but from curiosity. It seemed like the man was truly immune to everything the lieutenant threw at him. Odin would give Bob time to regain his composure. The man once again placing his body back to the original. A smirk would appear on his face, as he said “All type of damage whether it’s piercing, slashing, stabbing. Or whatever the hell has to do with something sharp I’m immune to. It’s ok Old Man. I’m undefeated in fighting. Defeating the Mad Titan of Lulusia will only increase my win percentage. You Skypieans... Always so full of yourselves.” Muttering the last sentence, though Odin could still hear. The man wondered what he meant by Skypeian. Maybe it was just some racial slur? For now Odin ignored it as once again Bob surged forward. Blade would be met with spike and spike would be met with body. Body that would instantly turn into several different pieces after each attack. Odin would grow tired from how the two fought each other. As if they were some type of equals. He was beginning to wonder if he could even damage the man. They both were growing tired, so as they continued one of them would eventually fall from exhaustion. However, Odin didn’t want to win that way. The man had killed Sun and he should be met with the same fate. The two would back away from each other as their attacks had met once again. Odin’s rage was slowly seeping into the real world in the form of an intangible aura. A yellow like beast would appear around Odin as the madness in his body had been unleashed. He would take his gloves off and throw them on the ground while staring at Bob. “You’re not the only one with tricks imp.” announced Odin as he crouched down. Waiting for the man to attack. A moment from the past would repeat itself. Bob would surge forward. The man jumping into the air as he got in range of Odin planning to cut him down. The attack most likely hitting due to the man having morning body limbs to protect himself now. However, seeing as Odin could use his Devil Fruit abilities via his weapons. He planned on using his hands. As Bob fell from the air, Odin would quickly turn his body. The man falling back to the ground as Odin avoided his attack. But before the man hit the ground, Odin would grasp him with his left hand. Holding the man by the legs, Odin’s right hand would quickly come to grip the upper body of the man. Only leaving his head protruding from his closed hands. The man would scream as Odin slowly twisted his body. Juices seeping into the pores of Odin’s hands as his body slowly grew larger. “Shishishi... You are not the only one with abilities gifted from the Devil. I’m the eater of the Shibo Shibo no Mi. With my mere hands I’m able to rob a person from all juices they hold.” said Odin. Just as he finished with his words all of Bob’s juices could be absorbed into his body with the Bob’s actually body only being a extremely dry husk. Odin would smirk as he towered even more over everyone person in sight. The battling of the guilds had stopped as they look at a man who was still emitting a dark aura. The name Mad Titan making more sense as he went back for his weapons. Those of Red Dawn was just too scared to actually attack him. This gave him time to once again put on his gloves and hold his sword in his right hand. “Blanco, finish them off!” the Mad Titan roared as he went back for Bob. Nearing the man’s body. Odin would stop, his foot rising above the man’s body. Without a second thought, Odin would bring his feet down. Crushing every bone in the man’s chest. The bones caving in piercing both his lungs and heart. Blood would slowly seep from the man’s mouth. Moving his fingers towards his hair. Odin would grasp a small ball and dip it in the pool of flowing blood. After placing the blood red bead back on one of his signature hair spikes. Odin would once again join the fight. However, this time he was actually going up against the grunts of the guild. Quick work would be made of the remaining Red Dawn forces, as Odin, Blanco, and the Mink fought. Odin with his sword weaving through the air and Blanco knocking people out with his trusty staff. The Mink had a pretty weird fighting style. With her swinging off of things and kicking people. Though, Odin wouldn’t think more of it as he continued fighting. Within thirty minutes all of the forces had been taken care of. Most of the Red Dawn members being dead and a slight few actually being alive but unconscious with broken bones. Putting his sword back in its sheath. Odin would look around at the chaos that they had created. Blanco would be the first to interrupt the silence that came with the win. His smirking face matching Odin’s own as his hand was held on his chest. “Mad Titan is truly the name for you. I had planned on taking this Guild Hall for myself and my own guild. However, I think it would be fitting for you. We’ve seen your abilities in battle and I think we should join your forces. With the Mad Titan of Lulusia leading our forces work would constantly come our way.” Odin would be surprised by the offer and would have declined it if not for the mission the army had given him. Nodding, he would eye the suited man trying to find any sorts of lie on his face. If there were some he covered them well. Looking towards the Mink, Odin would see that she was still sweating. She smiled at the man, debating on if she should continue working with him or not. “Old Man, maybe I should stay close by.” she laughed as she came to lean against the man. A purr would escape her lips as she rubbed her body against him. Odin would frown, he knew of this minkship and wasn’t quite fond of it. If not for the situation at hand he probably would have thumped the imp. Ignoring the girl, Odin would nod at Blanco’s request and motion for them to follow them into the guild hall. Upon entering, Odin would say “Sweep the place. Find any ounce of beli you can. Weapons and clothing as well. We can sell the valuables for even more beli in order to strengthen our funds. Those of you who practice in healing. Go and gather the other members who were hurt in the fight. Blanco and Mink Imp stay behind.” The Mad Titan’s orders would be followed with quickness. Himself would go to lean up against a wall. Falling on the floor causing the whole building to shake. His larger frame having disappeared back when the fight ended. He was now back comfortable. 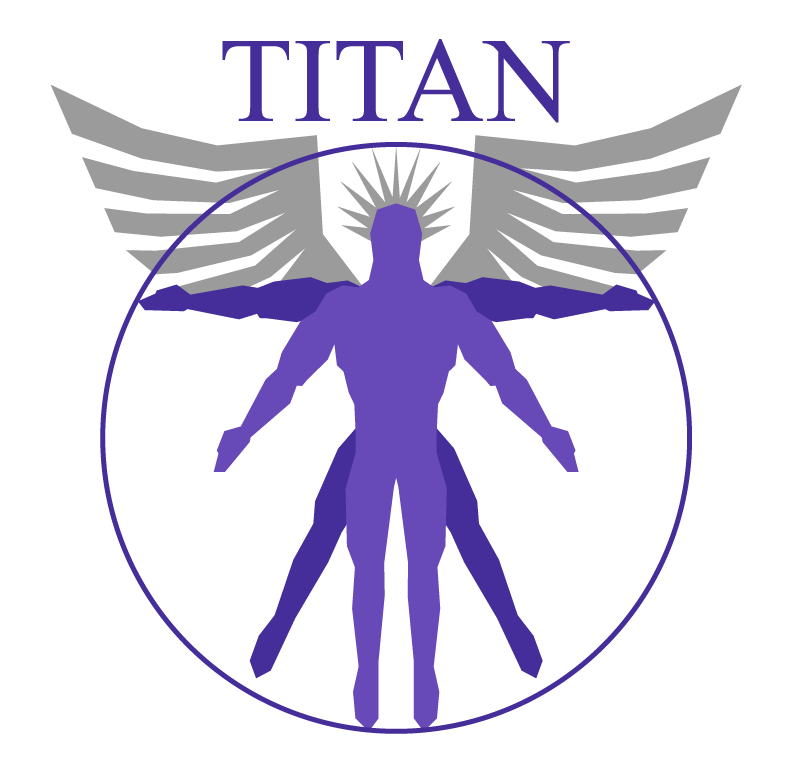 “Titan... That will be the name of this newly formed guild. With that name we will return this island back to the Golden Age.” announced Odin as he stared off into space. A smirk would appear on his face, as he showed his huge pearly white teeth. Peeping through a window seal was a single camera. A device that was used for taking pictures. With a flash a printed black and white copy of the man would be made. And sooner or later his bounty poster would be displayed all over the world.